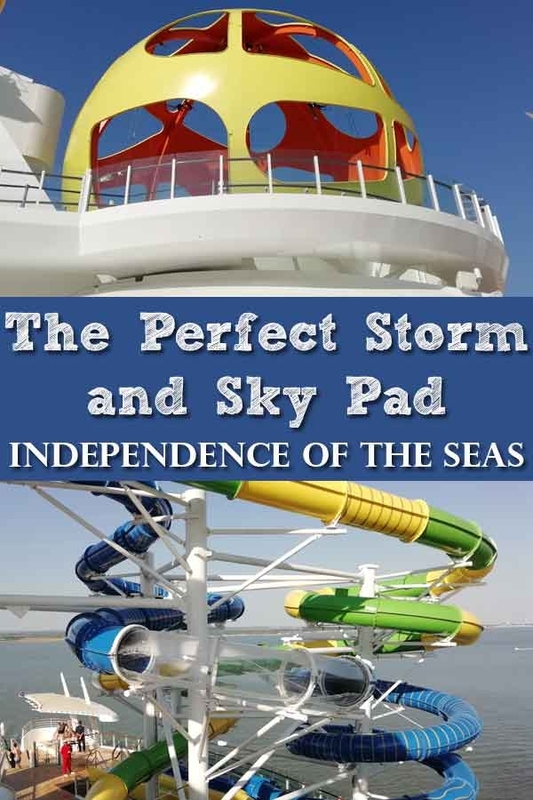 Sky Pad and The Perfect Storm on Independence of the Seas -There have been some fabulous new attractions added to Indy since the recent multi-million pound refurbishment. 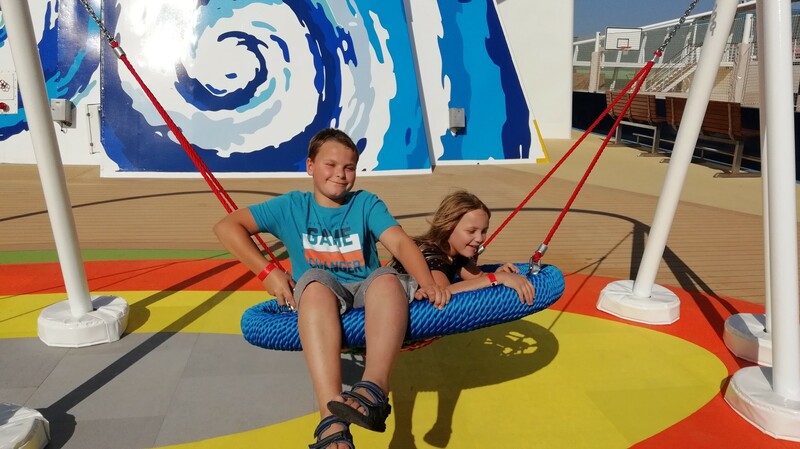 On the deck where the Flow Rider has always been you will find some great new additions. 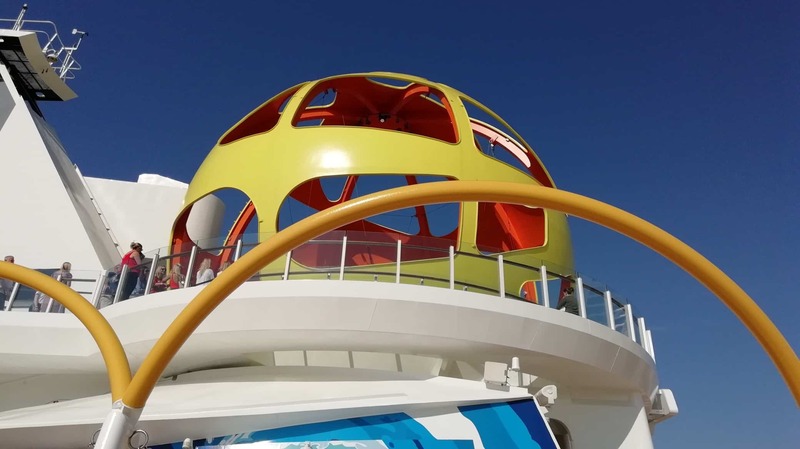 Billed as the first trampoline park at sea the Sky Pad is a pretty cool addition. 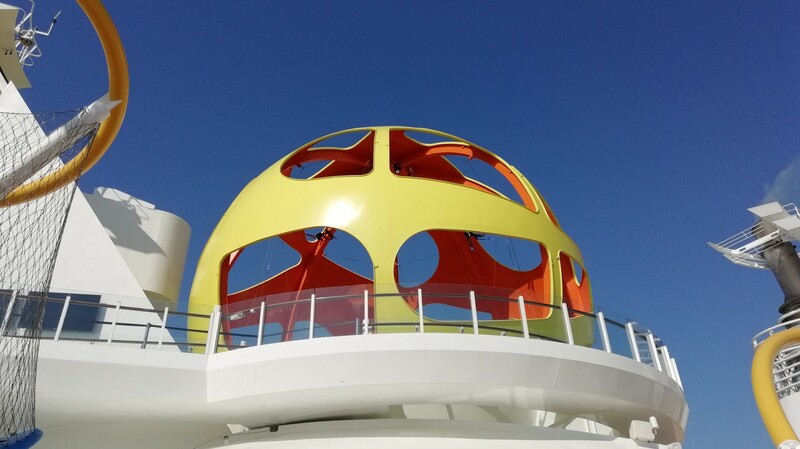 There are four trampolines, in a massive orb right on the top of the ship. You are then strapped to a bungee harness and have a VR headset fitted before you begin to bounce. 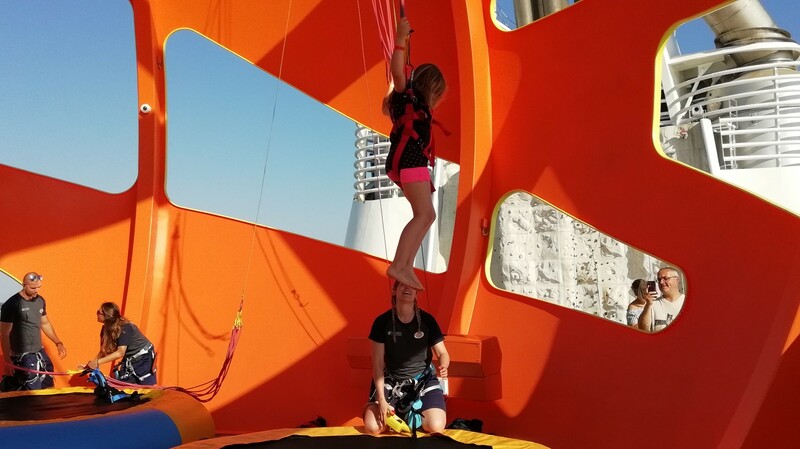 Each trampoline has a member of staff to look after you and keep you safe. Master T wore the headset – there is a choice of three games – he chose the Candy Land game. In the game you needed to bounce up and down to smash candy. He loved it! Miss H wasn’t allowed to wear a headset as it was too large to fit her properly. I almost think that is better though, because just think of the views! Maybe go on it twice, once with and once without? Miss H bounced really high and loved it just as much as her brother. 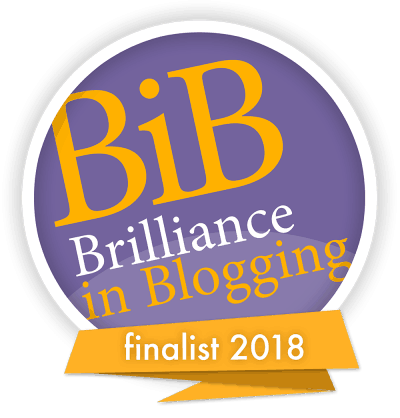 A word of warning though, don’t wear really short shorts to go on it – I did see some impressive wedgies that can’t have been comfortable and will probably be more flesh than you would like on display! 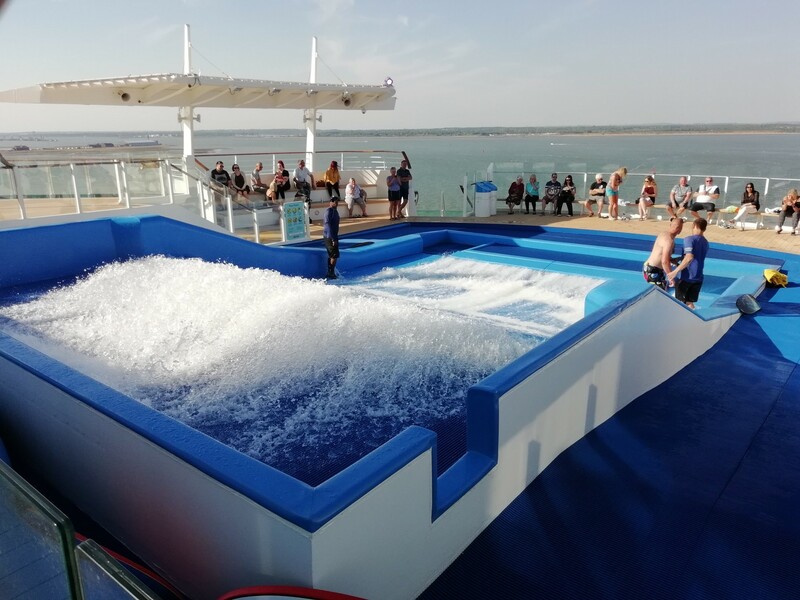 Next to the new Sky Pad you will find an old favourite, Flow Rider, the surf simulator. We stood and watched the braver people going on this and they looked like they were having a ball. None of us were brave enough to try it! 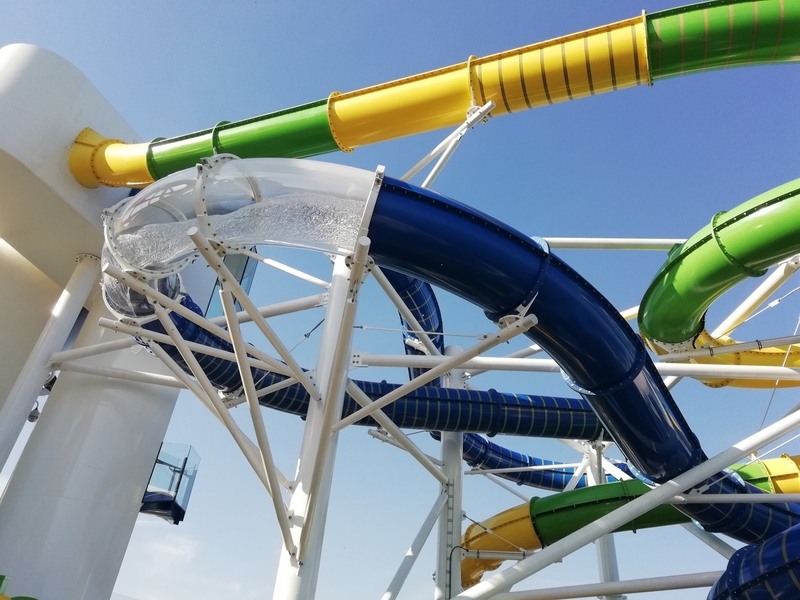 Another new feature is The Perfect Storm – two waterslides just near Sky Pad and Flow Rider. Miss H would have loved a go, but we ran out of time on our short cruise (and believe me, we didn’t stop!!). We shall go on them next time! 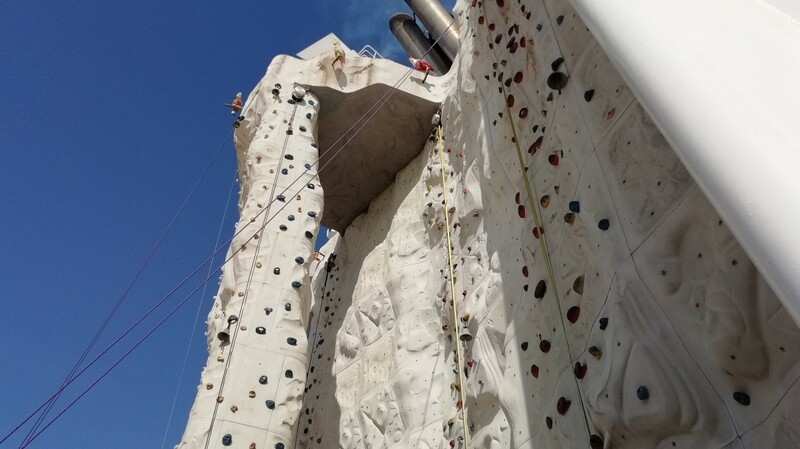 In the same area you will also find a basketball court and an (impressively high) climbing wall. 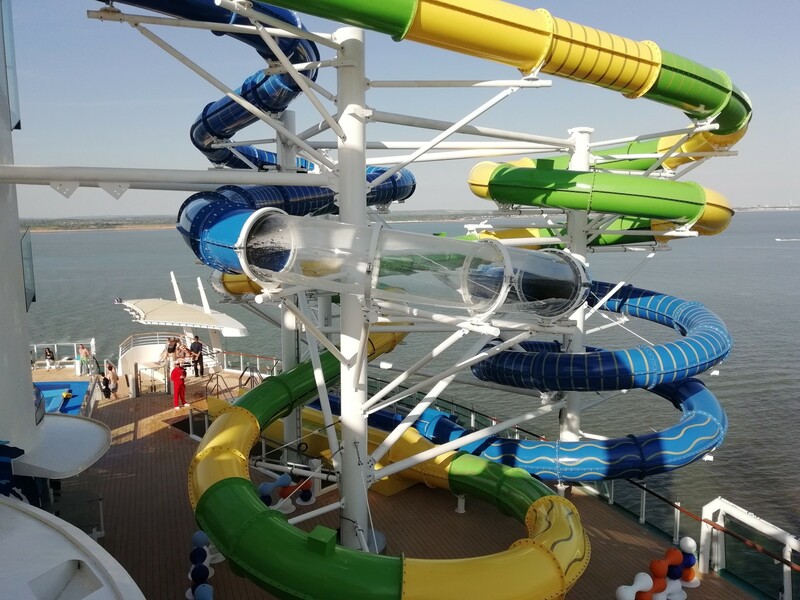 Another thing on our list for when we return. 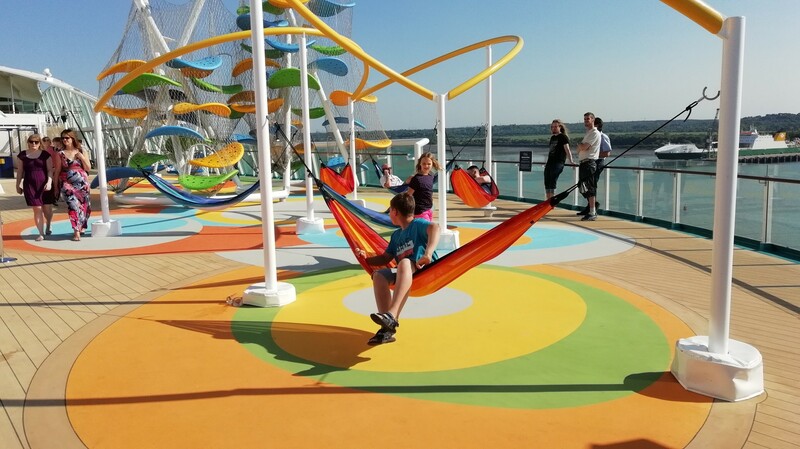 More new additions to that area are these fab swings and hammocks. 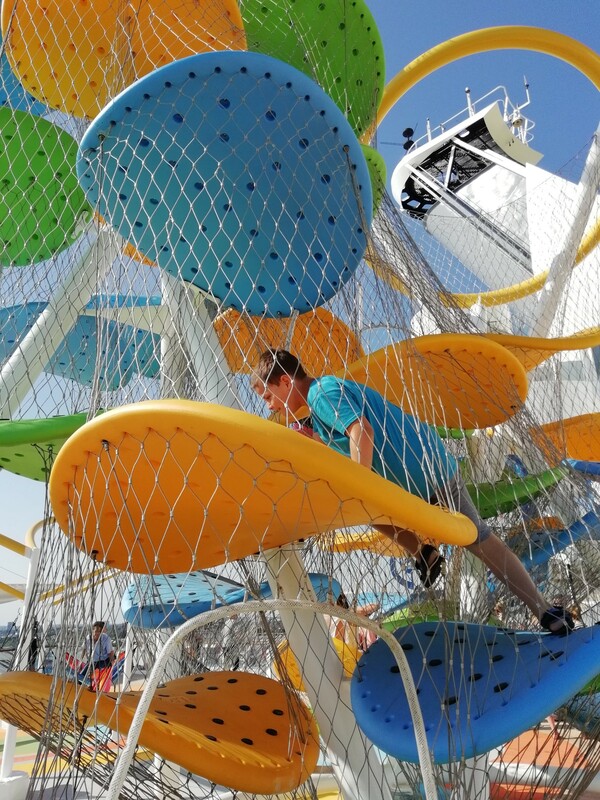 There is also a great climbing frame for younger children (though my two loved it at age 8 and 10). It looks like the platforms will swing but they are solidly in place – a fact I wish I had known before walking into them! Interested in cruising? 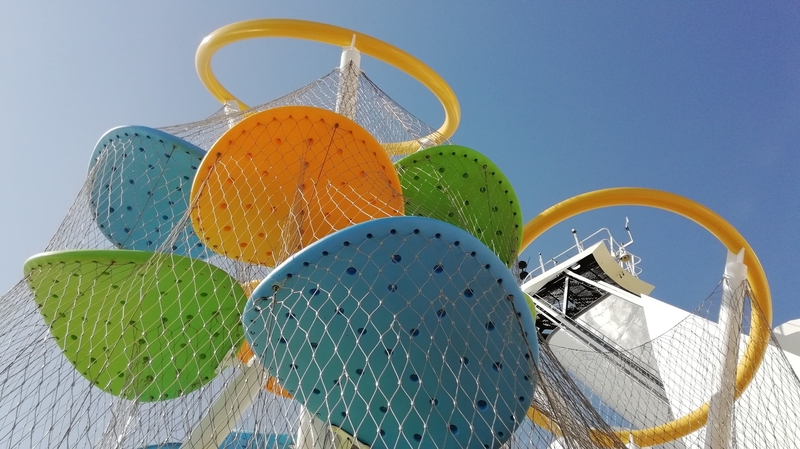 See our review of cruising with kids on the Emerald Princess. or this great review of a cruise to St Maarten on Azura.